Other actresses who used to act with him, their chemistries are good either! Don't forget that Park Min Young used to have rumors with him because of good chemistry! Same here! I feel like he's a type of actor who can get along well with every actress. Look at some other drama such as "Oh My Ghostess". The chemistry between the leads are so good so I think they must be real but turns out that the male lead has a girlfriend so it can't be true. From the first two episodes, me and my sister are already hooked on the characters and storyline . I usually steer clear of historical dramas (every character I like seems to end up dead ), but my sister convinced me to watch this drama with her to fill the void in both of us from the loss of "Fight My Way"
I was happily surprised to find myself sincerely enjoying the drama, and even looking forward to when the new episodes would come out! Of course, it's highly likely that my favorite characters will still end up abused and extremely dead, but so far so good ! Am I the only one who feels like the ending of "Fight My Way" that is too sudden. They suddenly fall in love and suddenly get married. It's not like I don't like this drama but I just feel like they tried to wrap a story into 16-ep. How is that "suddenly"? They've been in love forever, only he didn't know it, but she knew it all along. The solutions of all the loose ends were sudden. I agree with that. At least they tried to wrap them up all. Almost all. I didn't like that they left out the thread about the mother and the coach, and it wasn't clear whether she will go back to Japan where her adopted son is waiting for her, or she will stay forever in Korea because she started to like Soondae guy. That's why it's sudden to me. He doesn't know she loves him. He realizes they love each other. That's it. I think that they would go through hardships and get back together with melodramatic plot twists and turns. They broke up for two three months... Well, I don't know whether it was melodramatic, but it surely was heartbreaking, because the dilemma didn't seem to have a solution. And the solution given at the end (he fighting only in a few fights when in season) was very lame in my opinion, doesn't solve her problem of being scared he gets hurt, and of course is not so good for his career, now that he is in his prime. So it was just an expedient to end the drama on a positive note. But all in all, it was all so good that I didn't mind the half-assed finale. I can literally count on the finger of one hand the dramas which are good from beginning till the very end. I don't know what happens with writers: they are so skilled otherwise, but they seem to always mess up on the last episode. Even "Man living in our house" went downhill in the last three episodes, with fake obstacles and angst, interminable flashbacks and then an ending which left many things unexplained and unsolved. And let's not talk about W, because only thinking about it hurts, given how much I loved the first 8 episodes. Yes, I agree. The third wheel of the 2nd lead annoys me! It was so shocking to me. That girl tends to date all her male leads and stays for a long time with them. I really don't agree with him marrying her. She's beautiful and all, but there's something there that makes me extremely uneasy. .Wish them the best and I really hope I'm wrong and it works out for them. Sorry for not posting anything new in this discussion for a long time! Have any of you started watching the new Dramafever drama, "Strongest Deliveryman"? There are six episodes out so far and it is soooooooooo good! I honestly had my doubts about this drama, as I've never been a huge fan of Go Kyung Pyo (nothing against him as an actor, I just never felt a connection). How about you guys? What drama(s) are you really into right now? 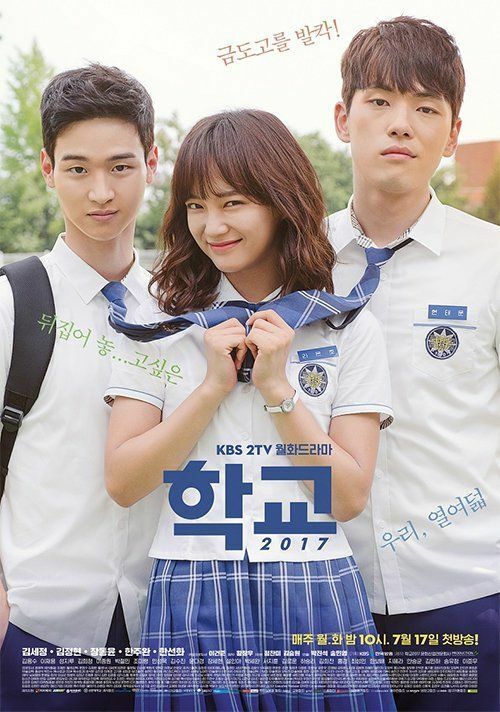 "School 2017" is another amazing drama that I'm watching right now, as I'm sure a majority of you are . Everything about it has me captivated and delighted . Any dramas you're looking forward to being aired? What is your favorite drama right now? I started to watch Strongest Deliveryman, I only saw the 4 ep on the 6 out and so far it's nice though I'm not captivated yet I still feel the need to keep watching it, espicially after the preview of ep 4 where it seems like everything will go down in the following episodes ! I also watch School 2017. 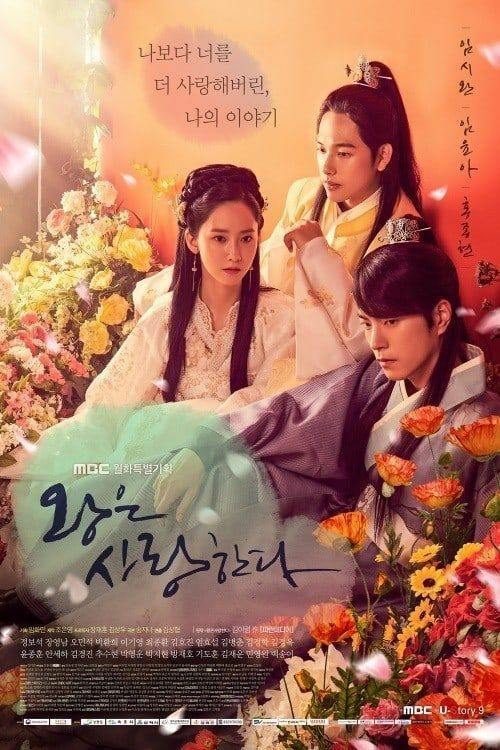 I must that at first I didn't like it, I was just not into it at all so I waited for a bit more episodes to come out to watch them quickly since I started the drama, I should finish it and thanks lord I did. Here I am now liking it a lot ! Basically my turning point was ep 6, from then I started liking the drama and loving Hyeon Tae Woon savage character, lol. Honestly I'm mainly watching because of Hyeon Tae Woon character, the teachers... ugh ! They just drive me crazy, make you want to get into the screen and offer them a few good slaps ! Deserving of the name aka Live up to your name, Dr Heo. Totally, totally love it!